RACHELLE: You help run a kosher food truck on campus. How did you get started? CARLY: I go to George Washington University. I arrived as a freshman, knowing there was no kosher food around, but I didn’t realize the extent of it. I was committed to keeping kosher before I came, so I wasn’t worried about myself. But I realized that other students were unable to stay committed or become committed to this mitzvah. Rabbi Yudi Stein, the local Chabad rabbi, told me that he had unfortunately watched students struggle to keep kosher at college. Through four years of school, that’s a lot of treif (non-kosher) food going into the system. There’s a strip on campus filled with food trucks. 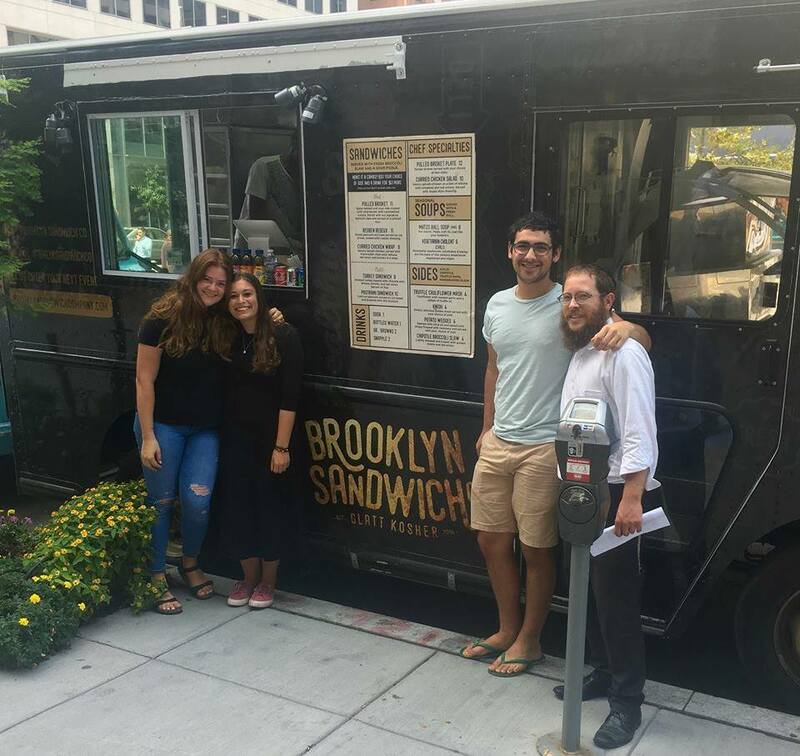 Rabbi Steiner had the idea to make a kosher food truck, as it’s a popular trend in the DC area. The costs of a truck are much lower than a brick-and-mortar restaurant, and we’d also have the ability to move where we were wanted or needed. RACHELLE: Was there anyone specific who helped you make it happen? 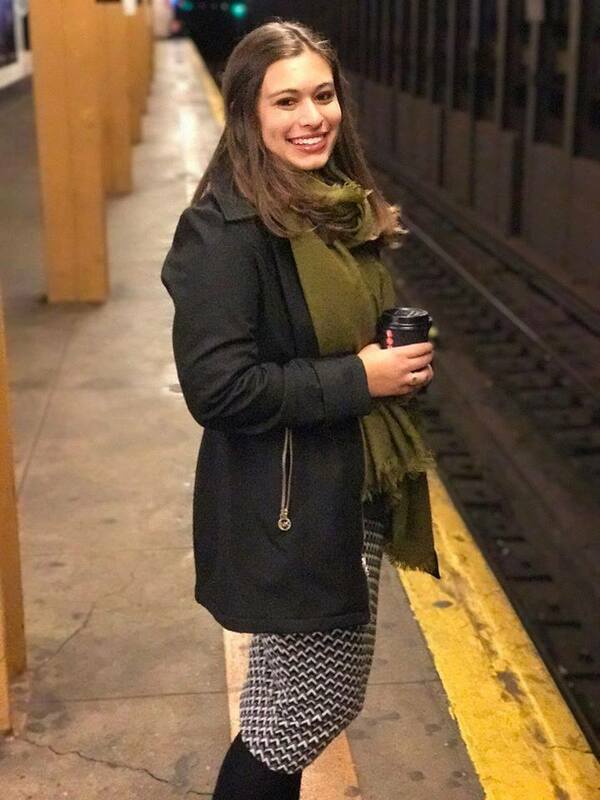 CARLY: Rabbi Yudi Steiner, his wife Rivky Steiner, two students Yoni Kintzer and Sophia Brener, and I formed the core team. A Crown Heights chef, Sam Akselrod, joined as the culinary consultant and director. Our whole local and extended community did whatever they could as well. It took a village! We started meeting once a week and putting together what it takes to make a project like this happen. We started planning October 1st, 2015. There was so much to do in between, such as learning about food industry, designing the truck, buying it and outfitting it, planning menus and recipes, hiring a staff, and more. It was a very busy and exciting time. July 5th, 2016 was our first day on the road. Since then, we bought our own food truck and we ran a crowdfunding campaign. 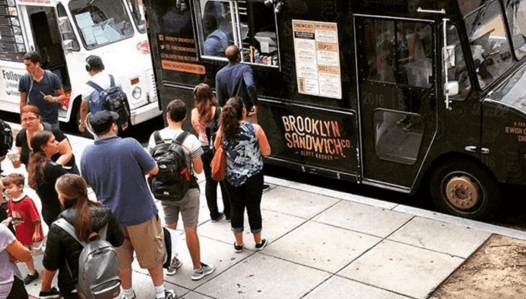 The truck is called The Brooklyn Sandwich CO.
RACHELLE: What kind of results you have seen so far? CARLY: When there’s no affordable, accessible kosher food option, it’s hard for people to imagine themselves keeping kosher. There are two kinds of people on campus who need kosher food. One group is the people who kept kosher before and want to continue keeping kosher. The other is people who are becoming close to Chabad and want to starting keeping kosher. 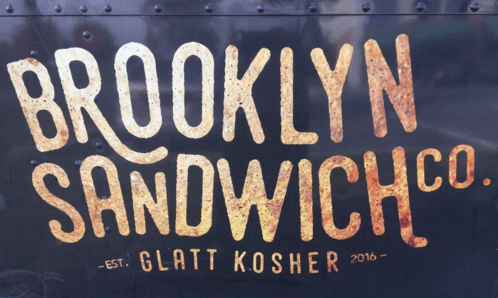 Either way – there are Jews on campus so we need kosher food. 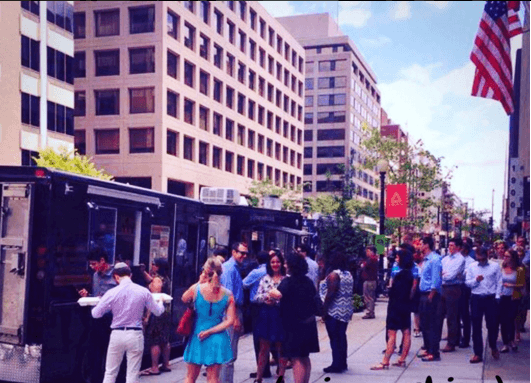 We know that a food truck doesn’t solve the whole kosher problem in DC, but it’s strong first step. Students and young professionals in the area are now able to have hearty, kosher meals at least a few time a week. Watching people choose kosher over treif is amazing. RACHELLE: Did you run into any unexpected problems? Every step of this process has been miracle after miracle. It’s so clear that Hashem (G-d) has a direct hand in making this a reality day by day. One day, the most popular location in DC was out of parking. As our truck was driving by to find a new spot, another truck waved them down and said, “Stop, park near us!” The treif (non-kosher) truck wanted our kosher truck next to them because they wanted our overflow. RACHELLE: Out of all the mitzvahs, why kosher? CARLY: Life revolves around food and as much as people joke about Jews and food, it’s really true. It connects people and brings people together. You can look at a campus and feel overwhelmed, and not know what to do first. The Steiners had lots of success with Shabbat, weekly programming and much more, so we decided to help out with the missing piece which was kosher. We just put a tzedaka (charity) box on our truck to give people the opportunity to drop their change – to do an extra mitzvah. For chanukah, the truck will be stocked with menorahs. And we are hoping to get the shabbos candle kits available for women on Fridays. It’s kind of like a food-truck-mitzvah-tank. 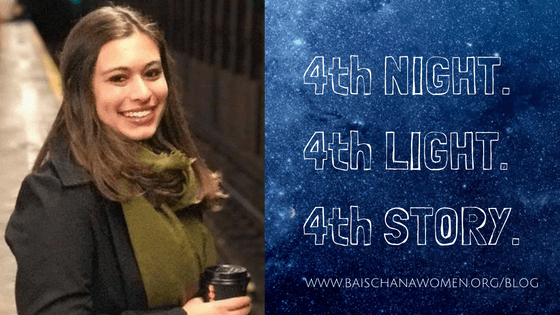 RACHELLE: In what ways has Bais Chana impacted your life? CARLY: Snorkel and Study was really the most inspiring week of my life. All the learning and farbrenging until 3am was unlike any other winter break experience. When you’re surrounded by so much inspiration, the main thing is bringing that inspiration down to earth – and that’s what Snorkel & Study encouraged us to do. When I got back to school, the Steiners and I met up and decided to push this initiative forward and make it happen. Bais Chana gives you that push – to want to put good into the world.